The Post Personal Project can be summed up in artist Morris Graves’ statement: "My first interest is in being, along the way I am an artist." Likewise, The Post Personal Project's first interest is in being, and that reality is the platform that enables Post Personal art. What is Being? It is the essential life that we are beyond and deeper than our mental conditioning including the narrative of ourselves. "Post" means "coming after", or going "beyond". "ism" indicates a system of thought. Therefore Post Personalism is a system of thought that looks at the human state beyond self-centricity. It explores that space artistically. Likewise, Post Personalism art is not about personality. It is about coming from a deeper place than personality alone. Personality comes from the word "persona", which comes from the Greek meaning for “mask” or our outer appearance. Post Personalism looks behind the mask and brings attention to the authentic being that is our true identity. Post Personalism explores the possibility of art being made that is not merely personally referential. According to Post Personalism, we live in a personal era of human history, which embodies all of Modernism and celebrates freedom of personal expression. Post Personalism acknowledges personal expression too, but primarily explores the universal oneness that transcends the mere personal. Post Personalism develops intelligent and forward thinking concepts that emerge out of that inquiry. For art to continue evolving toward a deeper, or higher state of human consciousness it must move in the direction of universal oneness. It is true that art today may continue evolving technologically and in style and technique, but those forms of evolution alone will not take us deeper into our shared oneness. Post Personalism is now a critical imperative. Anything other than universal oneness is now part of the old reality, the old consciousness. Post Personalism creates art forms that address this theme directly. Post Personalism is an art movement that transcends egocentric creativity and is based in the awareness that true artistic creativity is an expression of the greater totality. Post Personalism is a contemporary approach that engages awakened concepts in relation to human identity and artistic creativity. Post Personalism is not impersonal because it is compassionate. It is the next step. Post personalism is about the here and now, it is pro presence. Post Personalism was founded by Patrick Howe and Christopher Gasper, in Seattle, Washington, in 2014. 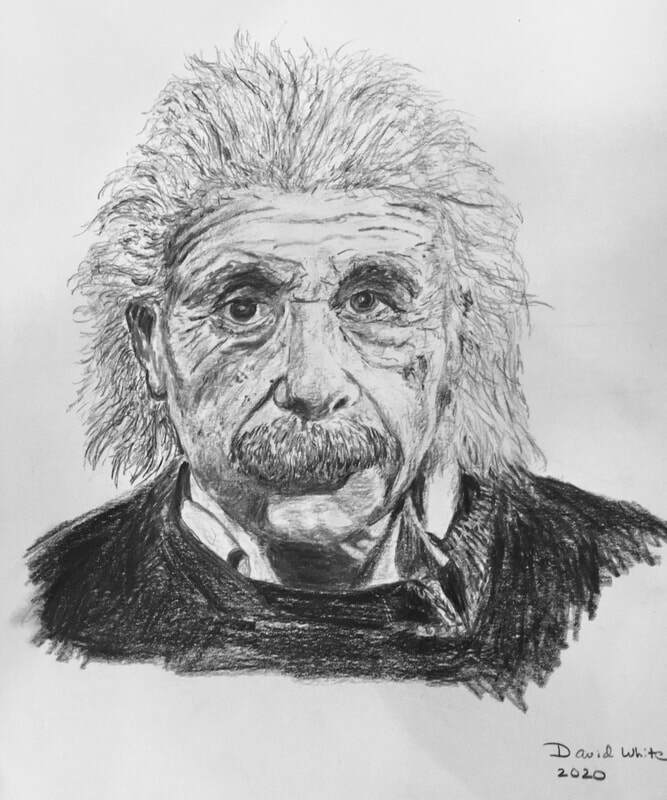 Einstein said "The true value of a human being can be found in the degree to which he or she has attained liberation from the self." Therefore, the post personalist artist asks how does an artist become liberated in order to become of truer artistic value? Artists Morris Graves and John Cage explored liberation from the self through Zen Buddhism and that influenced their artwork. Mark Tobey explored liberation through the universality of Bahai and that influenced his artwork. Many other artists found liberation from the self through the daily challenges that life brought them. Post Personalism explores liberation by also going beyond the concept of self-centricity. Post Personalism embodies the notion that an artist is not an isolated entity separated from the environment, others, or him or herself. It holds the notion that artistic creativity is aligned with—one with, the same creativity that has created all forms of life. The post personalist artist aspires to participate in that higher evolutionary order. 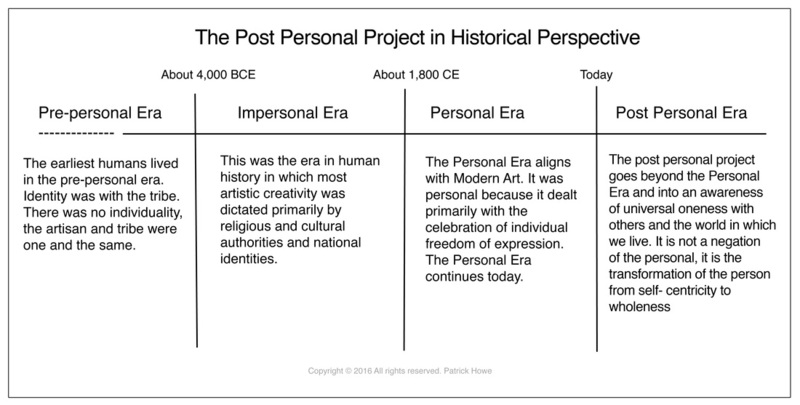 Many artist throughout history have had a perspective similar to the post personalist. And though they were not advocates of post personalism by name they nevertheless embodied some of the principles of post personalism. This is evidenced by some of the artwork and statements they made. 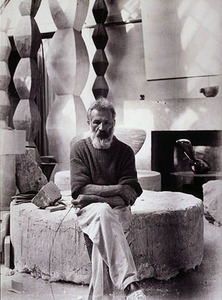 These artists include Morris Graves, John Cage, Isamu Naguchi, Constantine Brancusi, George Inness, and many others. (Visit Wall of Words to see what some of them have said). Astrophysicist Carl Sagan expressed it this way "If you wish to make an apple pie from scratch, you must first make a universe. Suggesting that the apparent intelligence of the universe expresses itself even in the making of an apple pie. The word "apple pie" could easily be replaced with the word "art". While the styles of these great artists are wonderful, it is the universality of their artistic philosophies that has appeal to the post personalist. That universality was frequently expresses through their artwork. Furthermore, each artist aspired to transcend the conventional human conditioning of their day and to communicate that effort through their art. However, the post personalist does not wish to emulate or copy the styles of artists of the past, but to further their perennial universal philosophical aspirations in the present. Post Personalism shares no direct comparison to Surrealism however a sideways comparison can offer an insight into understanding the post personalist approach. Surrealism was inspired by developments in human psychology in the 1920's. 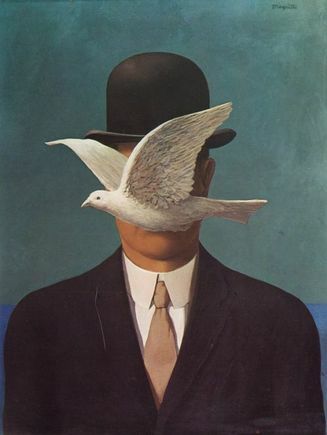 The Surrealists communicated in their art what they believed to be the appearance of the human subconscious. They made works that resembled the illogical distortions of the dream state. Where the comparison to the post personal project is relevant however, is that the Surrealist art movement was built around a specific subject matter. That subject matter was the human subconscious. Similarly, post personal art is built around a specific subject matter. That subject matter is a higher state of consciousness. Some might call that higher state enlightenment. Others might say that a higher state of social, political and environmental consciousness is a down-to-earth and practical necessity for the survival of our specie on the planet at this time. The post personal project is not limited to either interpretation. While both Surrealism and post personal ideas bring artistic attention to different aspects of human consciousness, the Surrealists had a clearly identifiable style. They had dripping clocks and so forth. The post personalist however is not necessarily style oriented. It is only content oriented, which means there may never be a uniquely post personal style because any artist could potentially express post personal concepts through whatever style was suitable.